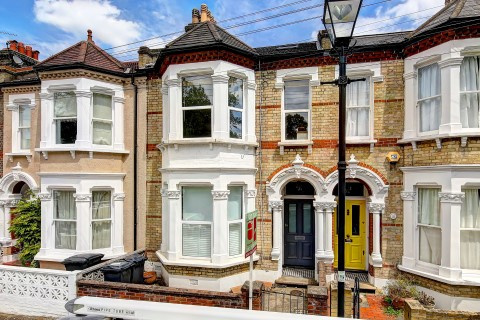 Why is the average sold price of semi-detached houses in Brixton over £1m, yet flats for sale in that cultural melting pot that has been described as one of London’s coolest places to live have an average asking price of just over £500,000? It’s not that houses for sale in both Brixton and Battersea offer more space than the one-bed luxury apartment moments away from the wide open spaces of Battersea Park that Eden Harper is offering for £850,000 have more space or often have private gardens. It is down to the tenure of the property being bought or sold. Here, Battersea and Brixton property expert Eden Harper explores the difference between a freehold home and one that comes with a leasehold before highlighting a relatively new type of property/land ownership. The overwhelming majority of houses in Brixton and Battersea are sold on a freehold basis. On the other hand, it is rare to find a flat on the market that is not a leasehold property. Purchasing a freehold property in Battersea or Brixton gives the buyer sole ownership of both the building and the ground it stands on. This means the owner of a freehold home in south-west London is able to carry out any physical or decorative alterations to the property they wish – as long as they adhere to planning regulations or, if required, the owner obtains Listed Building Consent. Almost every flat for sale in Battersea and Brixton, on the other hand, is a leasehold property, whether the residential asset is part of a purpose-built block, an attractive period conversion or located above both our areas’ rich mix of commercial premises. Unlike freehold houses, a leasehold flat gives the purchaser the right to occupy the property for the amount of time specified in the lease. Although leaseholders own the property’s internal space, fittings, floor and walls, they do not own the land the flat sits on or the fabric of the building, including the roof and external walls. As part of a leaseholder’s contractual rights, they would normally expect the freeholder – commonly known as the landlord – to manage, maintain and repair the building’s structure, common areas such as staircases, hallways and lifts and exterior grounds. The lease issued by the landlord will outline an owner’s obligations as a tenant, and may include keeping the flat in good order, behaving in a ‘neighbourly’ fashion and not doing certain things, such as keeping pets in the flat, without obtaining the prior consent of the landlord. In many cases, this even includes goldfish! A third type of property/land ownership was introduced in 2002 is an attempt to bring flat ownership into the 21st century. Commonhold has many similarities with the US-style Condo (Condominium) system. The land the building sits on is registered as commonhold land (as opposed to freehold land) and each flat owner, known as a unit owner, has two interests – the individual flat and a collective interest as a member of a Commonhold Association (effectively a residents’ association), which owns and manages the shared parts of the development on behalf of the residents. Although this type of land ownership has yet to be introduced in Brixton or Battersea to Eden Harper’s knowledge, the advantage of commonhold is that it gets rid of the concept of the declining asset because sellers and purchasers of commonhold properties do not have to worry about how many years are left on the lease.